MOVEit is an automated, secure file transfer system enabling you to meet compliance needs. MOVEit lets you manage, view, secure and control all activity through a single system. You always know where your files are with predictable, secure delivery and extensive reporting. MOVEit reduces the need for IT hands-on involvement and allows for user self-service as needed. Ipswitch WS_FTP™ Server is a highly secure, fully featured and easy-to-administer file transfer server for Microsoft Windows® systems. WS_FTP Server lets you create a host that makes files and folders on your server available to other people. Users can connect (via the Internet or a local area network) to your host, list folders and files, and (depending on permissions) download and upload data. Administrators can control access to data and files with granular permissions by folder, user, and group. Administrators can also create multiple hosts that function as completely distinct sites. WS_FTP Server is proven and reliable. It is used by administrators globally to support millions of end users and enable the transfer of billions of files. WS_FTP Server complies with the current Internet standards for FTP and SSL protocols. Users can connect to the server and transfer files by using an FTP client that complies with these protocols. Cyren is a leading provider of cloud-based security solutions that deliver powerful protection. Cyren’s GlobalView™ Cloud is fuelled by patented Recurrent Pattern Detection technology to deliver Web Security, Email Security, and AntiMalware solutions with uncompromising protection in both embedded and security-as-a-service deployment models. Sophos offers synchronised Next Generation Security between your end points and firewalls by real time intelligence sharing . Dell offer Business Grade switches to cater for your needs, whatever the size. High performance switches covering your edge, data centre and fabric requirements. 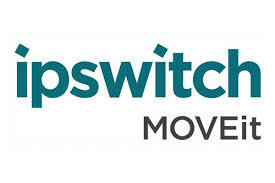 Level 8 Solutions are a leading re-seller of Ipswitch WhatsUp Gold products. Monitor performance and availability of network devices, track bandwidth usage, and improve network, server, and application performance to meet changing business demands. Get a complete picture of your network by understanding wired, wireless, virtual, server environments. 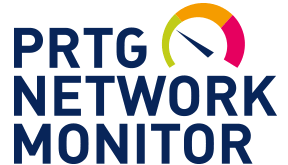 PRTG can monitor your network and more using approx. 200 predefined sensor types. Let it monitor your routers, switches, servers, hardware, software, operating systems, applications, virtualised environments, websites, email servers, databases, VoIP and QoS, IPSLA, logs, events, performance, NetFlow/IPFIX, sFlow, and jFlow, packet sniffing, SNMP, WMI, temperature & humidity, to name just a few.